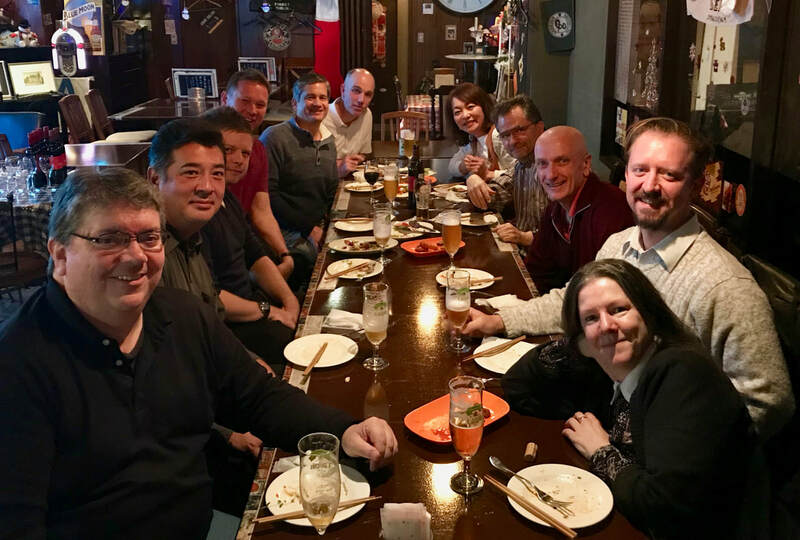 The Fukuoka JALT executive committee thank both candidates for participating, and we congratulate Steve Paton on becoming the Fukuoka JALT Chapter President. 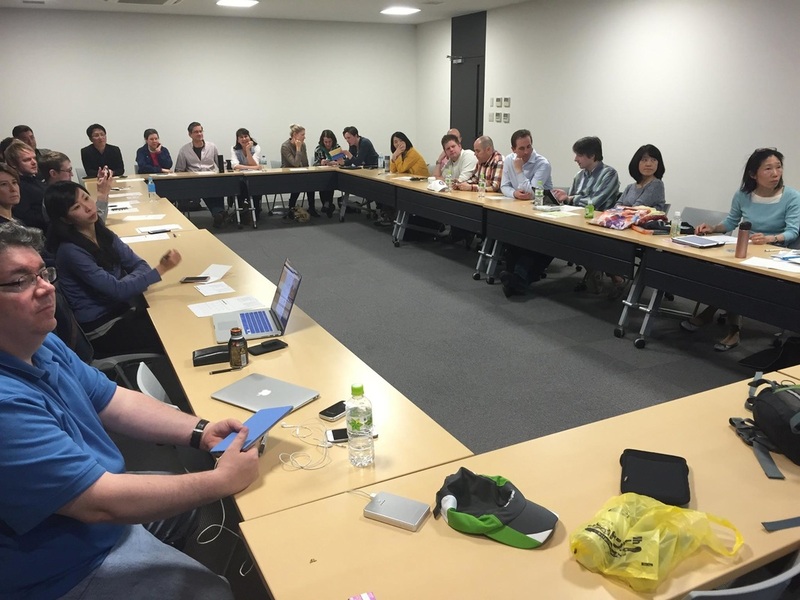 Bill Pellowe, in addition to being acting Director of Public Relations for JALT at the national level, has become publicity chair for Fukuoka JALT. 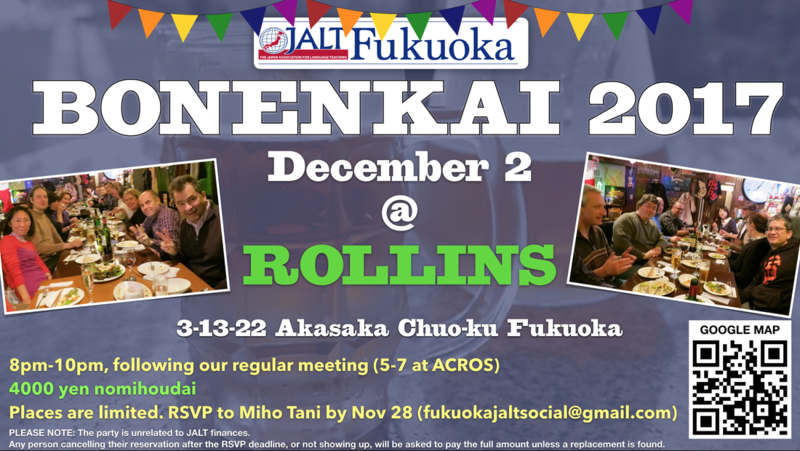 1,000yen for non-members, JALT members free. Let’s Go has the distinction of being the first EFL course book series for children, and of remaining one of the world’s best-selling course books through five editions for nearly 30 years. As co-author, Barbara has seen trends come and go in materials design for young learners, but some fundamentals have withstood the test of time. She will talk about these in terms of guidelines that can help teachers create effective EFL materials, whether for learners in their own classes or for learners in classrooms around the world. Participants will then apply these guidelines in turning content into coursebook pages. Barbara will bring material for participants to work with, but if you have a coursebook you’d like to analyze and perhaps improve based on the guidelines we explore, please bring it along with you to this session. The principles covered will apply to materials for all levels of learners. 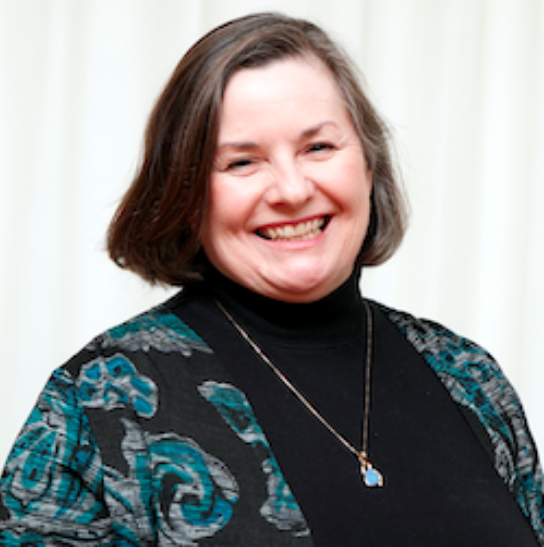 Barbara Hoskins Sakamoto holds a US English teaching license and an MATESOL, and has taught Language Arts, ESL, and EFL. Barbara is co-author of one of the world’s best-selling textbook series for children learning English, Let's Go (Oxford University Press), co-author of the online course, English for Teachers (International Teacher Development Institute), and author of the chapter, "The role of technology in early years language education"", in Early Years Second Language Education (Routledge, 2015). She is an English Language Specialist with the United States State Department, and is Course Director for International Teacher Development Institute (iTDi.pro). 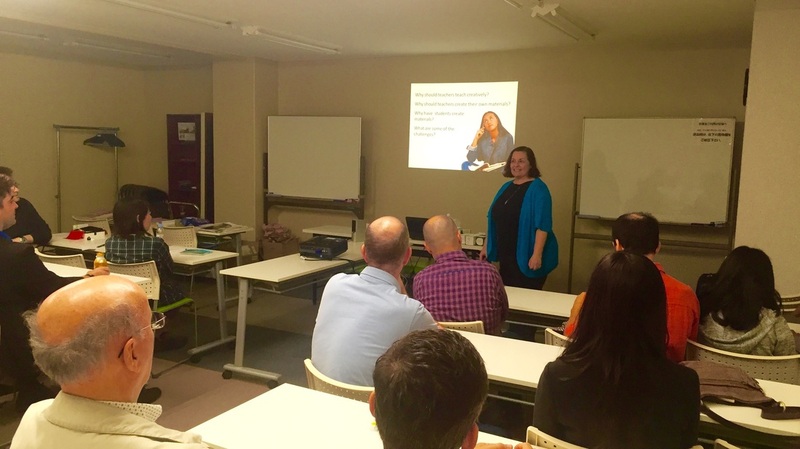 Barbara has been invited to give keynote and plenary talks at a number of international conferences, and has conducted teacher training workshops in Asia, Europe, and the Americas. She has conducts courses and teacher training online. Her webinars are always popular with teachers around the world. 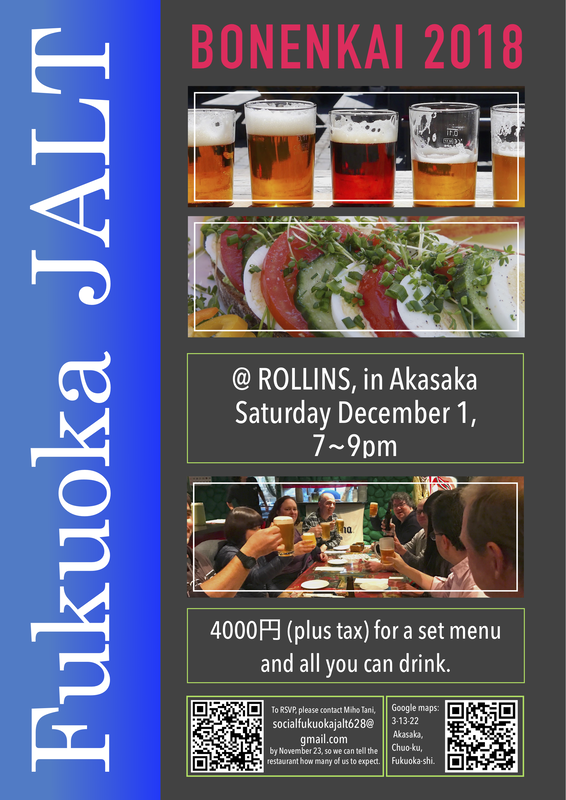 1,000 yen for non-members, JALT members free. Interested in getting started on Google Classroom? Good! You will be taking advantage of a free and very versatile platform that has enabled teachers all over the world to 'flip' learning and/or go almost paperless. Please bring your laptop or tablet. You will also need a Gmail account or two! Note, university G-Suite email accounts have a strong firewall, preventing others from joining. Integrate Google Classroom with the Chrome Extension Additio App which enables teachers to sync and calculate grades with relative ease. Feelings of inadequacy quite obviously negatively impact our students' decisions to engage with English, both in and out of the classroom. And when students chose not to engage with the language, learning opportunities are lost or kicked down the road. A majority of our students feel that their L2 listening comprehension skills are insufficient, leading to feelings of anxiety, which in turn negatively impact the desire to willingly engage with the language, which if unchecked will continue in a negative cycle. The cause of these L2 listening comprehension difficulties can be found in the huge phonological differences between Japanese and English. Students need to be actively coached and taught these differences, and be encouraged to keep on with a regime of listening practice, that might be quite different from how we might approach, say, extensive reading. This talk will look at both pedagogical approaches and recent research in SLA. Participants are also welcome to contribute to the discussion. Our after-meeting hangouts are informal and not official Fukuoka JALT events, but are just a good chance to hang out with and get to know other teachers over a meal or a drink. We don't organize any set menus, no RSVPs, just whoever wants to come along can do so and order whatever they like. We'll choose a place each time that allows for your preferred food and/or drinks. Anyone is welcome, even if you don't come to the meeting. Mike Berg and Christine Provenzano (respectively). Despite the marked impact they have been shown to have in the classroom, growth/fixed mindsets are an under-researched area of foreign language learning (Lou & Noels, 2016; Mercer & Ryan, 2009). How these mindsets interface with students’ background factors and proficiency will be discussed as will the speaker's progress thus far in his doctoral research. Presenter Bio: Michael Berg has been in Japan over 10 years now. He teaches at 4 different universities, and currently is pursuing a doctorate in education at the University of Liverpool. As the population of long-term non-Japanese residents rises in Japanese cities like Fukuoka, more and more families with at least one non-Japanese parent are working to help their children make the most of their international background by developing two, three, or more languages from birth. 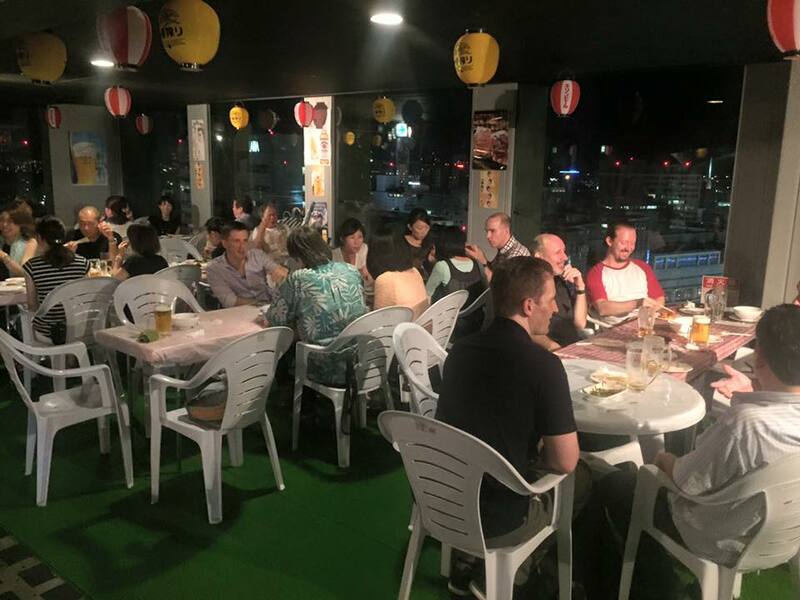 In such families, the non-Japanese parents may believe that it is a matter of course that their children will learn both Japanese and the heritage language. In reality, however, it is very often not the case. Developing bilingualism and, in particular, biliteracy for children in such families requires sustained effort and dedication to the task by the whole family. It sounds very daunting, but the journey can be fun and rewarding for everyone, with the resulting experiences and skills providing opportunities for children that can carry them into the future. The presenter will discuss strategies and approaches employed by creative parents all over Japan who have found a variety of ways to work towards the goal of bi- or multi-lingualism (and -literacy) with their children in this relatively monolingual society, with some cautionary tales thrown in to warn of possible misconceptions and pitfalls. Suggestions for parents will be offered, and the experiences of parents who have already walked the path will be solicited in an open discussion in the last part of the presentation. This presentation may be of interest to anyone wishing to share their experiences or, conversely, to learn from those who have "been there, done that". References for those with a deeper academic interest in bilingualism will also be provided. By sharing our stories, we can learn from each other as we work to give our children greater access to the world. Hang out after the meeting! 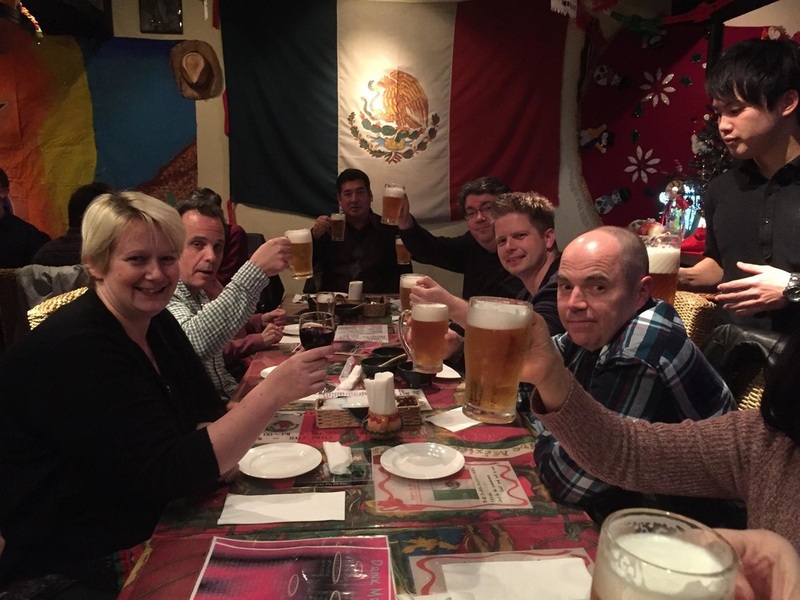 Our after-meeting hangouts are informal and not official Fukuoka JALT events, but are just a good chance to hang out with and get to know other teachers over a meal or a drink. We don’t organize any set menus, there are no RSVPs, just whoever wants to come along can do so and order whatever they like. We’ll choose a place each time that allows everyone to order what they want. Anyone is welcome, even if you don’t come to the meeting. Just turn up at the restaurant/bar. It isn't set in stone, but we're thinking of going to Brooklyn Parlor in Nakasu this time. Tanuki Games designs modern card and board games with the classroom in mind. Planned from the bottom up to be engaging, communicative and fun, our games make for excellent classroom activities that will motivate and help students become more confident language users. This talk will go into the details of our game design process, and talk about how modern board game mechanics can help create engaging tasks and activities for the classroom. Cost: 1000yen for non-members. 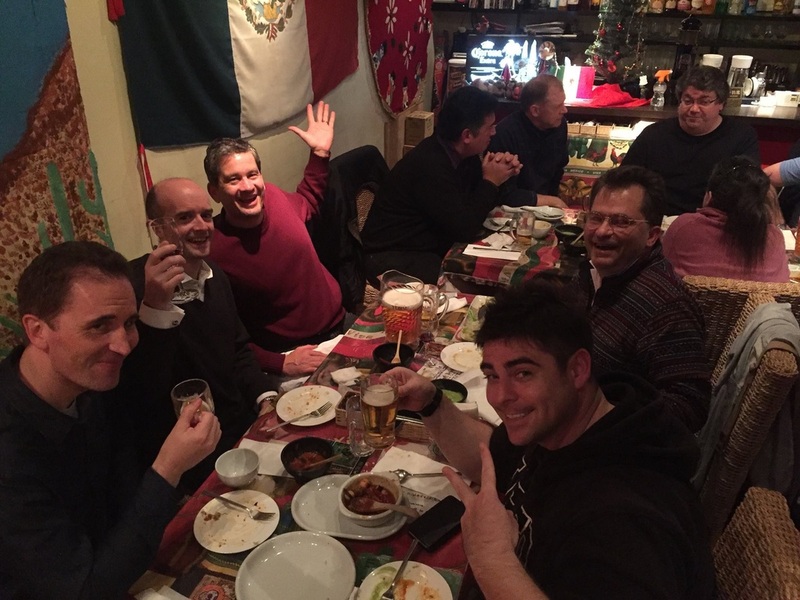 JALT members free. It isn't set in stone, but we're thinking of going to Kebab Bar Ampoules this time. As noted by Dörnyei and Ryan (2015), much of the focus of recent motivation research is on the dynamic nature of motivation. However, while there are a handful of studies investigating large groups of learners, there have only been a few studies which tackle the complexity of language learning motivation longitudinally. In this study, four Japanese university students majoring in International Studies participated in a four-year study which examines the changes in their motivation after they enter college. Using monthly interviews and a 35-item questionnaire which measures the key constructs of Dörnyei's L2 Self-System (Dörnyei, 2005), the trajectories of learner motivation were investigated based on both quantitative and qualitative data. After identifying changes in their motivation using quantitative data, changes of Ideal Self, Ought-to self, and L2 learning experience were analyzed using rich narratives collected through interviews conducted during the four years of the study. Using the data obtained, this study focuses on how four learners' language learning motivation and contexts interact with each other, and how the dynamics of the four learners' motivation evolves. The types of demotivators and motivators that each learner experienced in their particular contexts changed over time. The four learners encountered motivators and demotivators both in and outside of the classroom and reacted differently to them. Dörnyei and Ushioda (2011), called for researching motivation in terms of language learners' reasons for studying, their lengths of sustained study, and their intensity of study. While participants in this study identified their Ideal L2 selves, or Ought-to L2 selves, their "self-guides" generated were not strengthened by their L2 experiences over time. Based on these findings, we discuss the importance of studying the experiences of language learners in motivation research longitudinally and the need for teachers to focus on why, how long, and how much learners study languages in their lives outside of their classrooms. Keita Kikuchi is a Professor at Kanagawa University. He holds an EdD from Temple University and an MA in ESL from the University of Hawai’i at Manoa. His research interests include curriculum development and second language acquisition, especially individual differences. This research focused presentation aims to introduce the basic theory and practice of narrative-based inquiry. Starting with Dan McAdams’ five-level theory of personality (McAdams & Pals, 2006), the presenter will explain the rationale for, and usefulness of, self-explained narratives in individual differences research. This will be followed by an overview of approaches to narrative elicitation from various branches of applied psychology and consideration of how these may be adapted the specifics of L2 learning research. Finally, the presenter will show how he developed and used a narrative-based method to investigate L2 learning motivation through self-reports of individual language-learning-histories (LLH) in a group of undergraduate English majors in Japan. The presentation will conclude with an overview of the findings from the study and discussion of the implications for teachers. 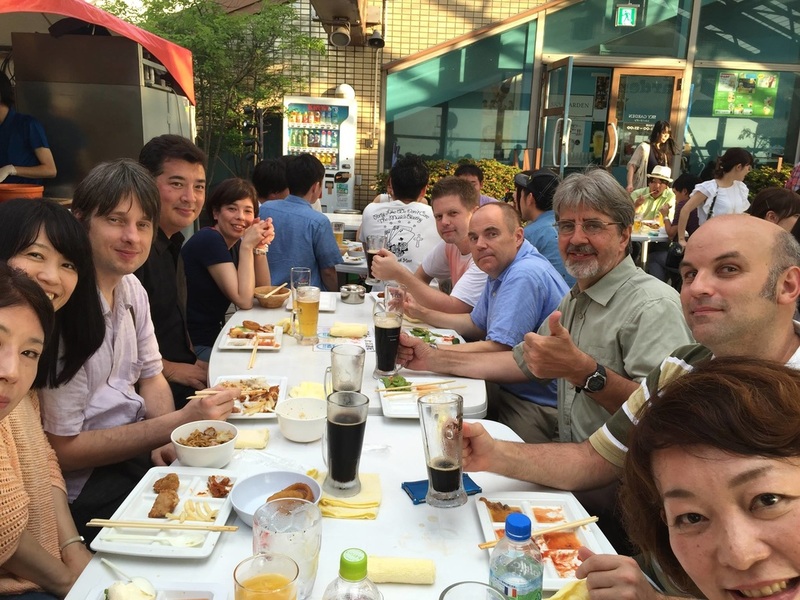 Neil McClelland is an Associate Professor at the University of Kitakyushu. He is a long-term resident of Japan and a regular presenter at International Conferences. Research interests include language learning motivation and the implications of introducing English Medium Instruction (EMI) into school-based education in East Asian contexts. This will be a my-share demonstration event about using freely-available participation / quiz tools such as Kahoot!, Google Quiz, Zipgrade, etc. Come along and be introduced to some apps that you might decide to use this coming year! Flashcards Deluxe is not free -- at 500 yen, it's right up there with a coffee from Starbucks. But with great functionality including integration with Excel and Dropbox (iOS also available) and five-sided flashcards that carry photos, this is the ideal tool for quickly memorizing names and faces with large groups of students. The presentation will show how a set of photos and names can be easily put onto a smartphone -- and then used with a choice of options including paced-learning and randomized viewing. Kahoot is a free, game-based online learning platform that is easily integrated into our classes. Teachers control the timing of when questions are posed to the students. In this demonstration, participants will learn how to create Kahoot activities and access the results. We will address student privacy issues and accountability so that we can assess individual students' progress and participation while maintaining their privacy. I had been looking for an online solution for making quizzes online that would be easy to use, secure for my classes and have the ability to incorporate audio and videos into the actual quizzes. I started using ClassMarker because it was easy to use and share with other teachers in my school. The web-based testing tool allows the user to create online assessments with settings such as time limits, randomizing questions, instant feedback, multiple choice, matching, short answer, video, audio, and essays. Students can take the quizzes on their computers, tablets or smartphones. One of the most useful features has been the ability to set time limits, as well as start time and finishing times, so that I can pre-set the test to correspond with my classes. Free accounts provide a functional testing environment for up to 100 test results per month. Paid accounts offer more functionality and larger numbers of test results. I will demonstrate how to setup an account, make a quiz, display the answers and so on in this hands-on workshop. ZipGrade is an application that uses your device's camera to scan and grade multiple-choice answer sheets with incredible speed and accuracy. In fact, students can take a 100-question test, and receive their scores before they even leave the classroom. In this demonstration, we will gather data in a short, fun multiple-choice quiz, then answer sheets will be marked and graded instantly on-screen so everyone can see how easy and fast it is. We'll then examine the statistics, score distribution, and item analysis, and then export the data into a spreadsheet; all within 45 minutes, easily! ZipGrade is a magical tool for teachers and researchers. All teachers want their students to achieve higher levels of fluency, but how to teach it, and which classrooms methods actually work? The presenter has been teaching fluency-based speaking classes for over 20 years, and will share his methods and theories to get students to speak faster and to say more. In addition to a basic description of the essentials of his teaching techniques, he will demonstrate some basic classroom activities for fluency, such as basic “Speed Conjugation”, another called “One Idea, One Breath” (OIOB) which is aimed at fluency improvement, and perhaps also, “Disagreements”. Time permitting, there will also be an introduction to his Authentic Listening / fluency practice website, GOLDFish365 - http://goldfish365.com/. Extensive listening has been attracting attention as a means to improve language learners’ listening skills and promote their autonomy. 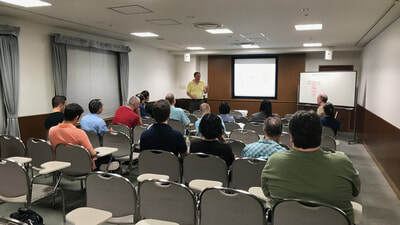 The presenter will explain how he added an extensive listening component to two consecutive listening courses he taught at a Japanese university. He asked his students to listen to online recordings outside class and keep a journal in which they reflected on the listening process, detailing the difficulties they encountered and the strategies they used to overcome such difficulties. The students could also add comments about the content of the recordings, although this was not required. The results were encouraging as regards both the number of entries submitted and the quality of the reflections such entries contained. In addition, anonymous end-of-term surveys showed that the students rated the courses highly and believed that the journal activity had helped them improve their listening skills. 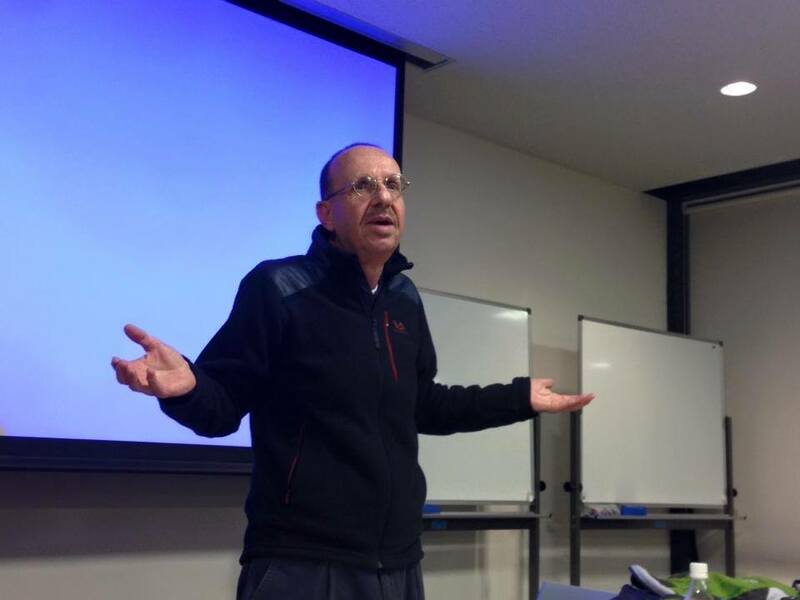 Sergio Mazzarelli is a full-time English lecturer at Kwassui Women's University, Nagasaki. He earned a PhD in English from the Shakespeare Institute, University of Birmingham, UK, in 1996 and has been teaching in Japan since 1997. He has developed interests in learner autonomy and CALL and administers his university’s Moodle website. Pragmatics is an essential, but often neglected, part of language teaching. For many teachers, compared to vocabulary or grammar, pragmatics may seem irrelevant, overly academic, or just fuzzy: hard to understand and hard to teach. The goal of this presentation, in two parts, is to challenge these perceptions and to demonstrate ways in which pragmatics does have a place in the language classroom. Part One will start with an introduction to pragmatics: the study - and practice - of language used in interaction, in relationships, in various contexts and cultures, for a range of purposes. We will then consider some aspects or areas of pragmatics that language teachers and learners need, both in the classroom, and in the world outside. Part Two will take the form of a workshop: we will consider and try out various pragmatics activities for the classroom. Bio: Jim Ronald has been teaching English in the Department of English of Hiroshima Shudo University for over twenty years. His main academic interest for the first ten years was vocabulary acquisition, and he gained a Ph.D. in this field at Swansea University. Since then, he has become increasingly interested in pragmatics, and specifically in developing and using classroom pragmatics activities. 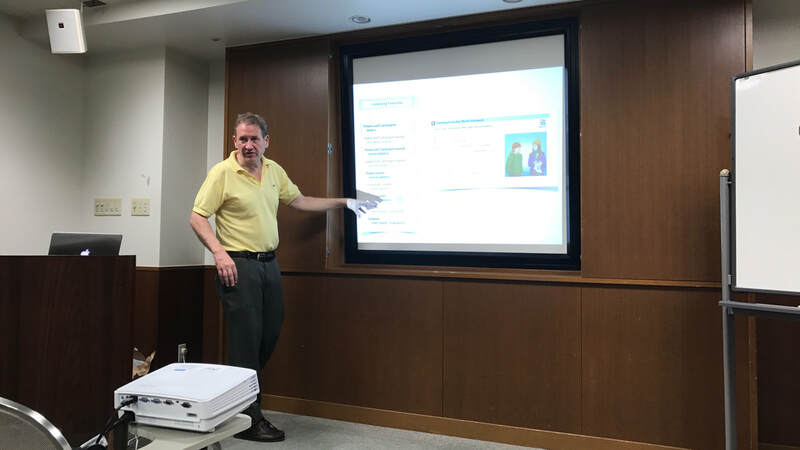 In 2012, he co-edited a collection of these activities for the JALT Pragmatics SIG, and is working towards co-editing a new collection of activities, this time with a greater focus on learning and evaluation. This presentation first describes the beneficial features of a hypothetical program of vocabulary study. These features include spaced rehearsal, adaptive learning, increasing retrieval difficulty, the use of an appropriate word counting unit, the presentation of both audio and orthographic forms, the use of context, and the use of the learners’ L1. Findings in the research literature on vocabulary learning are easy to understand, yet difficult to apply to a vocabulary program in practice. As a result, vocabulary programs often fail to help students reach their potential. The second part of the presentation describes the challenges faced, the great assistance received and steps taken when the presenter piloted, created, and administered an institution-wide research-informed vocabulary program. Trainees on the Cambridge CELTA course are taught to elicit answers and responses from students throughout lessons. Doing so is part of an effective, communicative, student-centered class style… but what if your students routinely shut down, panic, or succumb to debilitating embarrassment when you call upon them? Simple, routine requests for verbal responses can often be met with interminable silences which derail the communicative pedagogy and frustrate and confuse both teachers and learners (Seiko, 2011). Intercultural communication literature confirms that there are significant cultural expectations and propensities that need to be respectfully understood and overcome before our classrooms can become authentically communicative spaces (Banks, 2016; Hofstede, Hofstede, and Minkov, 2010). Among the factors at play are culture-based understandings of ‘power-distance’ between teachers and learners, the value placed on the collective versus rather than the individual, and the motivation towards ‘uncertainty avoidance’. I’ll go over some effective strategies I have developed to help students come to feel comfortable enough interacting in the classroom that they can begin to avail themselves of the benefits of communicative language teaching. These include strategically raising students’ consciousness regarding impediments to classroom communication, carrying out a carefully-programmed ‘practice and disarming’ stage early in a semester, and judiciously applying impactful negative feedback if unwillingness to communicate remains a problem. In this session we will take some time to discuss the difficulties which learners face when developing their productive skills, and then look at some effective methods to motivate students to speak out. I will illustrate those methods by running through some practical classroom activities using the third edition of Smart Choice. Finally, I will introduce some online material which can be used on both PCs and mobile devices to increase exposure to English outside of the classroom. Bio: Rob Peacock currently works at Oxford University Press as an Educational Services Consultant and course coordinator of the Oxford Teachers' Academy. He has spent over sixteen years in Japan teaching students of all ages as well as providing teacher support and workshops. Why do our students, spend so much time gaming, tweeting, clicking, liking, uploading, texting? As teachers we can critically observe students’ online activities to determine what — if anything — can be utilized for good education. 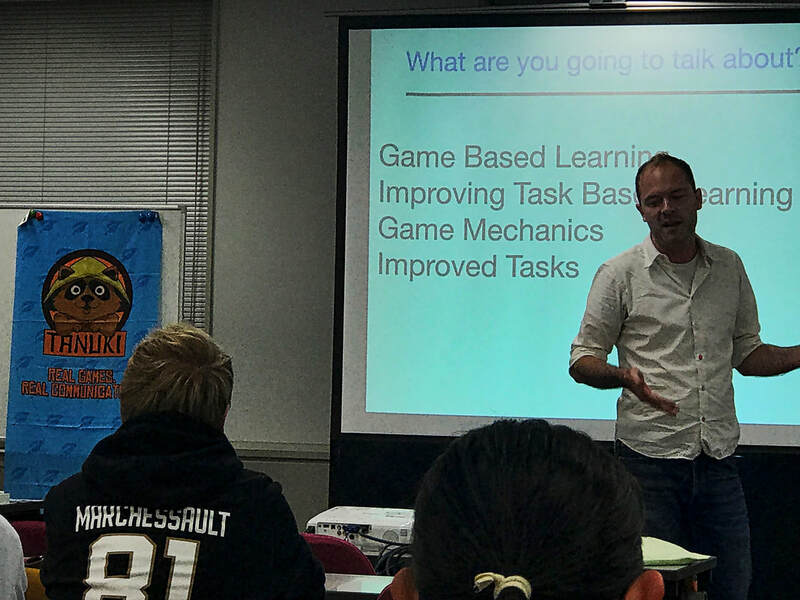 In this presentation, I will present 6 principles that make online games, apps and internet-use so compelling – even addictive – and invite you to draw parallels to what you do in your classes. What this reveals may well surprise you! Then we will shift focus to think about the materials, activities and media we use in class. To what extent do our choices include or exclude these 6 principles? Practical examples, from the newly published oEnglish Firsthand Fifth Edition, with its online component MyMobileWorld, will be used to demonstrate each principle. 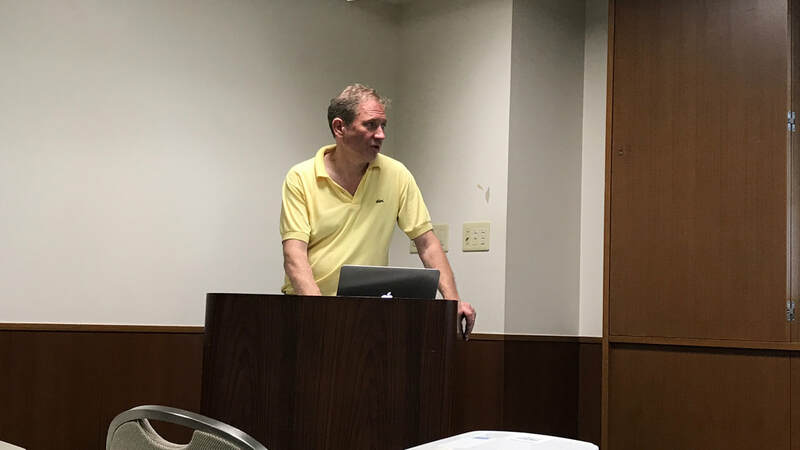 Bio: John Wiltshier has been a teacher for 26 years and is currently a Professor at Miyagi Gakuin Women’s University in Sendai. 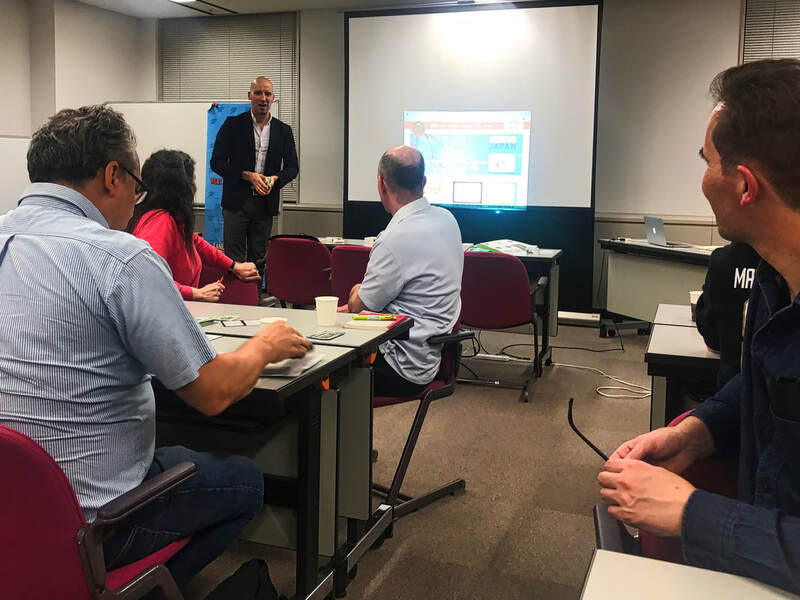 He has presented nationally and internationally in Asia, Europe and the U.S., being plenary speaker at the PANSIG conference and twice featured-speaker at the JALT International Conference. John is co-author of the highly successful English Firsthand series – 5th edition, published this year. In addition, he is an author and series consultant (Japan) of the global, six-level primary course, Our Discovery Island. Learners need huge amounts of comprehensible input to learn a foreign language. And listening is an easy way to get this. It is commonly observed that students who spend time listening to English outside of class (for example, movies, YouTube, music and so on) do better than those that don’t. However, learners coming from syllable-timed or mora-timed languages (such as Japanese) often lack an ability to comprehend naturally-spoken English. The presenter will demonstrate how listening should be taught to learners from syllable- or mora-timed languages. Bio: Alastair Graham-Marr has his Masters in Applied Linguistics. He's been teaching in Japan for 28 years. He is an Associate Professor at the Tokyo University of Science. In addition, he is an editor at ABAX Ltd, a specialty ELT publisher. 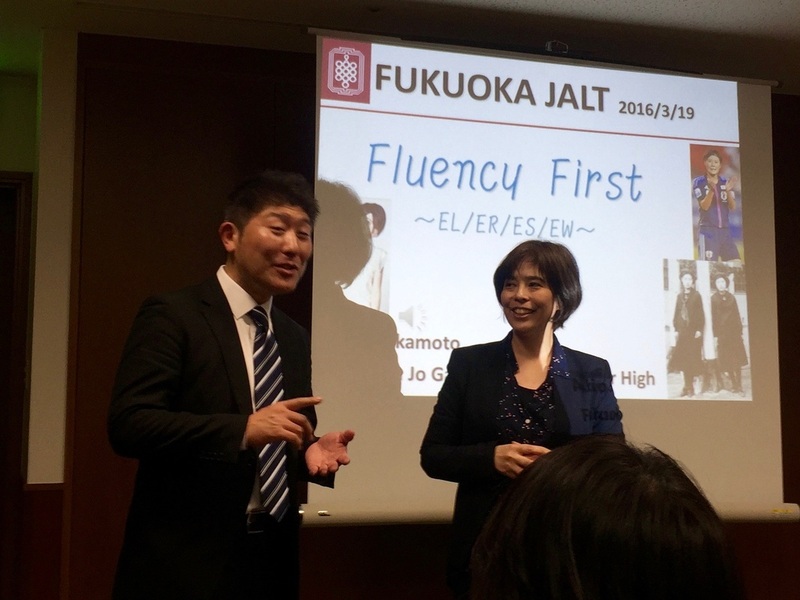 He is currently in the third year of a government research grant into the difficulties that many Japanese learners face when listening to naturally-enunciated English. Reference: Brown, J.D. (Ed.) (2013). New ways of classroom assessment, revised. Alexandria, VA: TESOL. Tenjin, Fukuoka City: Kurume University Satellite Campus. 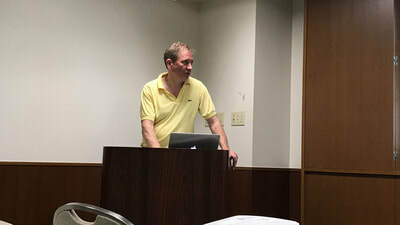 The presenter will argue in favor of a move toward online English learning and teaching resources and activities. He will highlight how computer software can enable learners to build up portfolios of evidence for their language studies, and offer freedom and autonomy not possible through other study means. The presentation will be followed by an introduction of Apps 4 EFL (www.apps4efl.com), a free, cross-device compatible Web-Based Language Learning platform developed by the presenter. This is where Apps 4 EFL (http://www.apps4efl.com) steps in. Apps 4 EFL is a free, cross-device compatible Web Based Language Learning (WBLL) platform developed by the presenter. It aims to bring a range of online English learning activities under one roof, and allow students to study autonomously at any time, in any place, whilst also allowing teachers to track and control their students' learning in detail. from Tenjin it's a 12 minute Chikatetsu ride to Kaizuka followed by 3 minute Nishitetsu to Chihaya. This presentation will introduce features of Microsoft Excel and Google Docs that have the potential to ease burdensome aspects of recordkeeping. In the first part of the presentation, the presenter will show how to create a fully automated gradebook in Excel using relative and absolute cell references. In the second part, he will show how Google Docs can be used, in concert with learners’ smartphones, to collect, correct, and analyze answers from quizzes. Participants are encouraged to bring laptops or tablets to the presentation for the sake of shadowing the presenter. Abstract: Virtual Exchange (VE) has many benefits for foreign language teachers and their students but it is still not easily accessible to the mainstream. Students in English as a foreign language classrooms often have few opportunities to physically interact with other users of English. VE gives them virtual mobility, enabling them to participate in a global community. In this presentation the author introduces a large scale VE which includes over 1500 students from 5 countries in a VE via a Moodle platform. Students interact online in English as a lingua franca. Exchanges are carried out over 8 week periods. Outcomes from the project, sponsored by the Japanese Ministry of Education, will be outlined using data gained from questionnaires, text analysis and student feedback. Details of how this method of VE could bring it into mainstream, ensuring VE can become a part of any English communication class throughout the world, if the teacher so wishes, will be outlined in addition to an outline of problems that can eventuate and ideas for incorporating the VE into classroom practice. 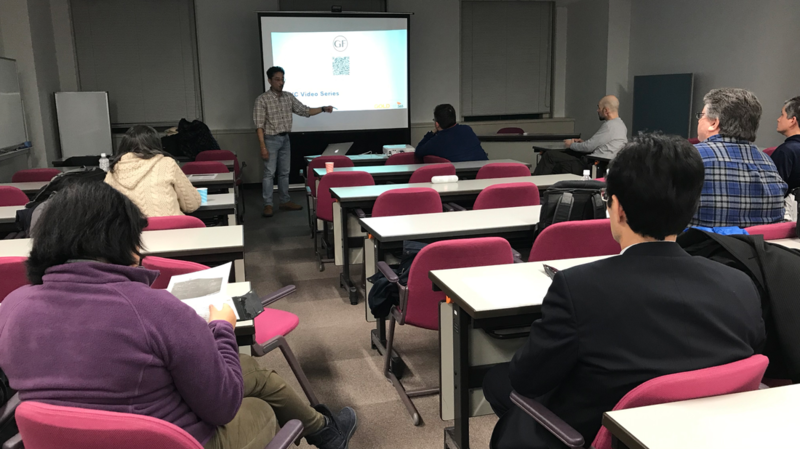 Those attending will also be able to participate in a quick workshop so that if they want to join the exchange from April 2017, they will be able to. 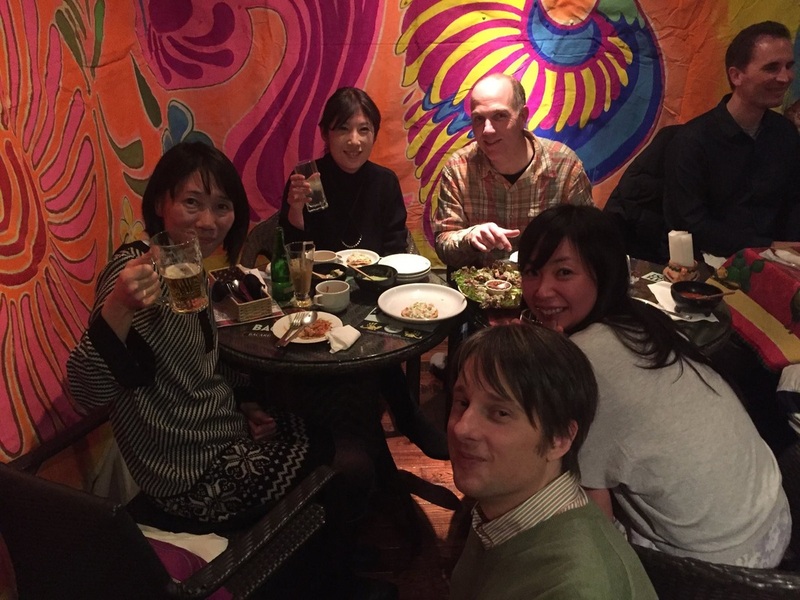 Bio: Eric Hagley teachers EFL at Muroran Institute of Technology in the north of Japan. He created the large scale virtual exchange being presented here and has had his students doing VE for the past 12 years. He is the Chair of the Asia Pacific Virtual Exchange Association (APVEA) and in this position is trying to ensure that VE can become mainstream in language classes everywhere. He is also head of the Quiz Quality Assurance Project for MoodleReader (mReader). Biography: Quint Oga-Baldwin has taught at every level of the Japanese education system. 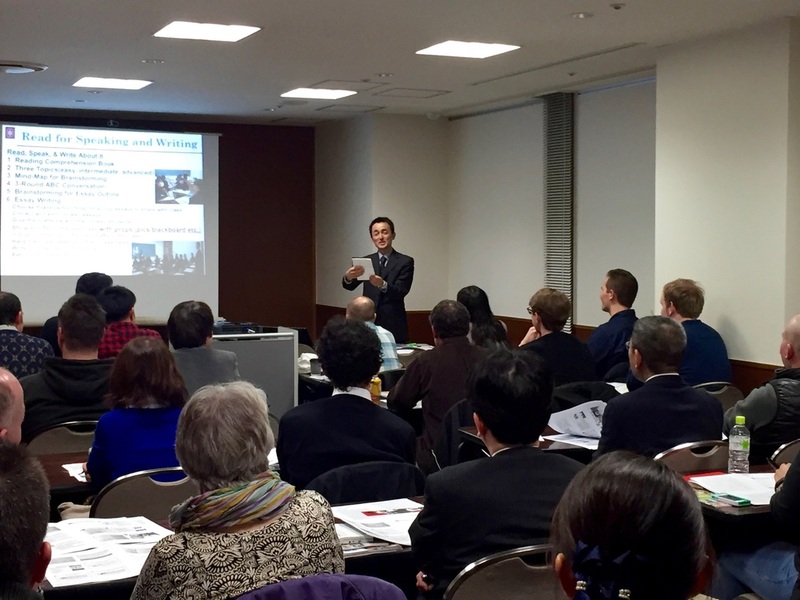 He currently trains future elementary and junior high school teachers. His research interests include elementary foreign language education, student engagement and motivation, and teacher education. Abstract: Language is a tool for communication, and identifying what you want to do with language can provide a path for improving language ability. However, students often describe their language learning goals using vague or generic language that makes it hard for them to achieve tangible results. In the first half of this two-part presentation, I will explain goal-setting in relation to self-directed language learning and introduce some activities for analyzing needs and setting goals. In the second half of the presentation, I will discuss two projects that illustrate considerations teachers must make to support students in their selection of materials for achieving goals. The presentation will conclude with some observations about the challenges of explicitly instructing students in self-directed learning. 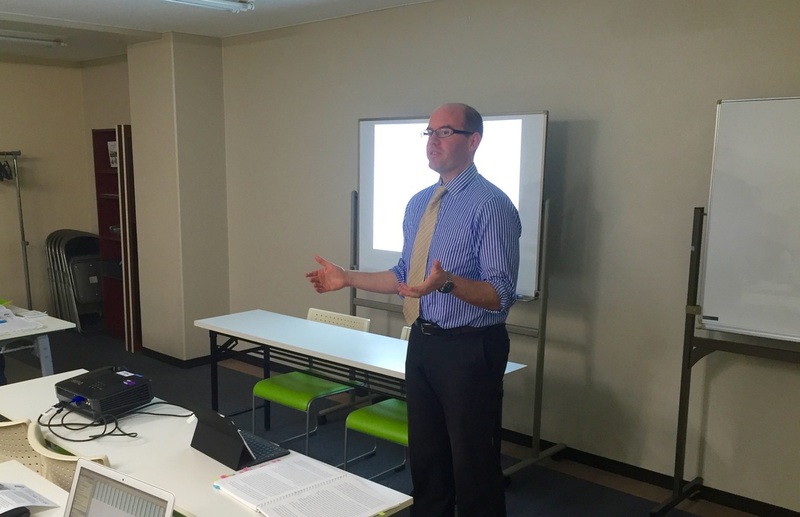 Biography: Mathew Porter is currently Assistant Professor of English at Fukuoka Jo Gakuin Nursing University. He spent three years as a language learning advisor at a university self-access center and is the co-coordinator of the Learner Development SIG. He is interested in collaborative learning and reflection. Abstract: Do your students (or you!) regard "process writing" as a remedial technique designed for struggling writers or low-level language students? This workshop takes participants through all stages of the writing process: brainstorming, organizing, drafting, editing, and rewriting, to demonstrate its usefulness and efficiency for any level of young adult or adult writer (including native speaker). We'll try out a variety of practical and enjoyable classroom activities for each stage. Participants will look at activities that teach students to brainstorm creatively, make outlining easier for visually oriented learners, and set up a peer reviewing process that actually works. Reading is a complex process that integrates numerous sub-skills, ranging from lower-order decoding skills to higher-order skills that integrate context and background knowledge into the comprehension process. Although reading instruction must aim to develop proficiency in higher-order skills, learners must automatize lower-order skills before they can access higher-order skills. I will briefly argue that commercial reading textbooks often neglect lower-order skills so it is important for classroom teachers to create supplementary tasks that address their students' needs. I will spend most of the presentation time demonstrating how to create simple supplementary reading tasks using typical word-processing software and other free or inexpensive tools available from the internet. The emphasis will be on "low-floor, high-ceiling" tasks that benefit low-proficiency learners through intensive mechanical practice, but provide higher-proficiency learners with extensive practice necessary to develop reading fluency. 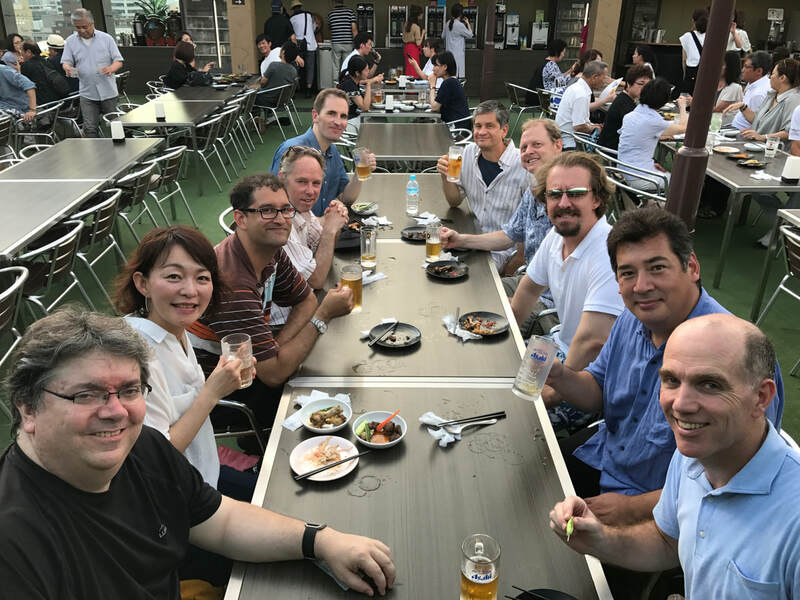 Biography: Trevor Holster is a language instructor at Fukuoka University and is the Publication Chair of the JALT Testing and Evaluation SIG. He has taught English in Japan since 1996. His current research focus is on measuring the difficulty of extensive reading materials. Other research interests include vocabulary acquisition and testing, peer assessment, and speaking assessment. Abstract: In the first part, I will talk about the impact of anxiety on foreign language learning. 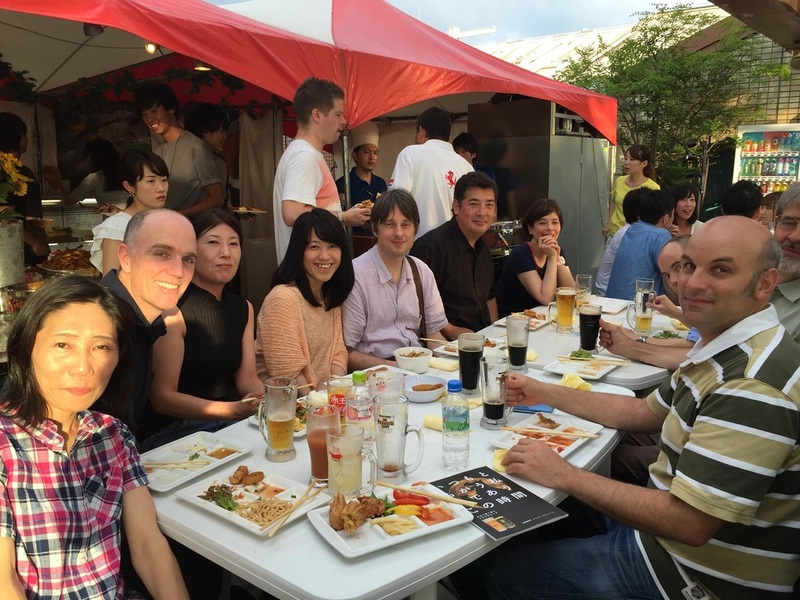 I personally became interested in this area of research from my experiences learning and using Japanese. Although the majority of anxiety-related research focuses on speaking, my research is on foreign language listening anxiety. I conducted a medium-sized study with 176 undergraduate students who were enrolled in compulsory EFL classes for non-English majors at four universities. In this talk, I will talk about the design of the study in both practical and theoretical terms. I will also describe the relationship between listening anxiety and performance on the one-way listening tasks based on the listening section of the TOEIC test. Finally, I will conclude with some ideas for dealing with listening anxiety in the classroom. 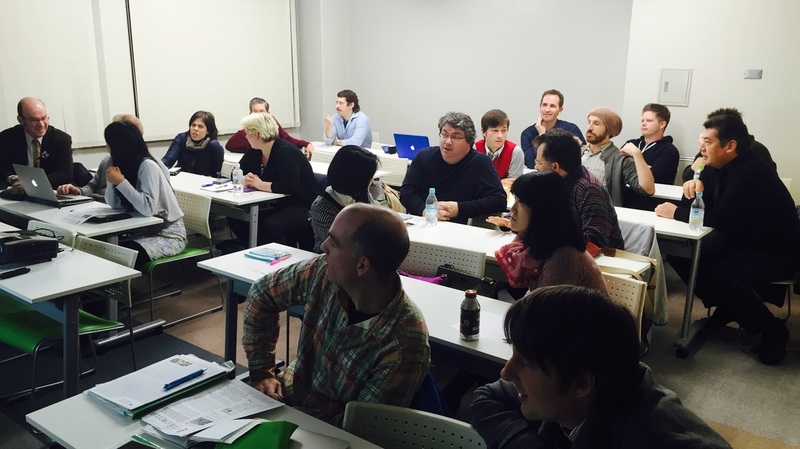 Biography: Adam Murray is an experienced educator who is currently teaching at Miyazaki International College. 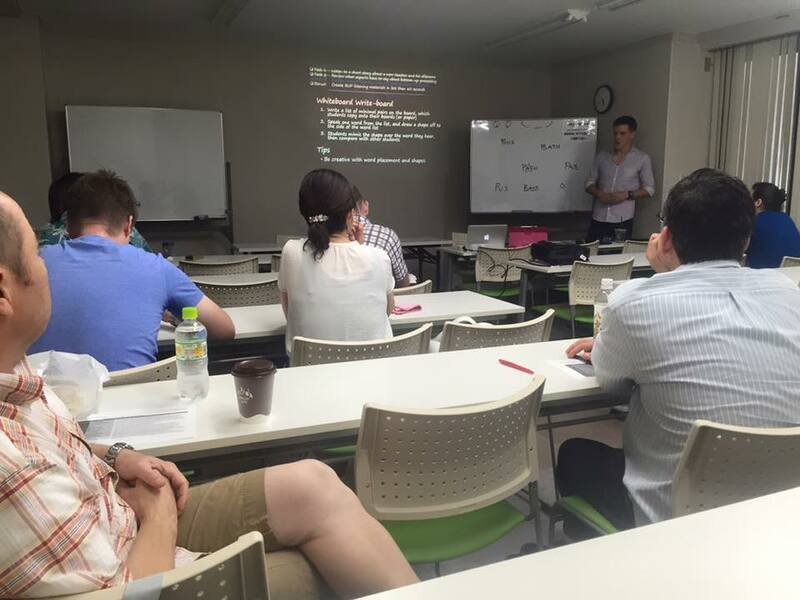 For almost a decade, Adam has been teaching English as a Foreign Language to Japanese university students. His research interests are listening instruction, materials development, and assessment. His currently the coordinator of the JALT Materials Writers Special Interest Group. He can be reached at amurray@edu.miyazaki-mic.ac.jp. Saturday June 25th 2-5pm, & Sunday 26th 10am-2pm. 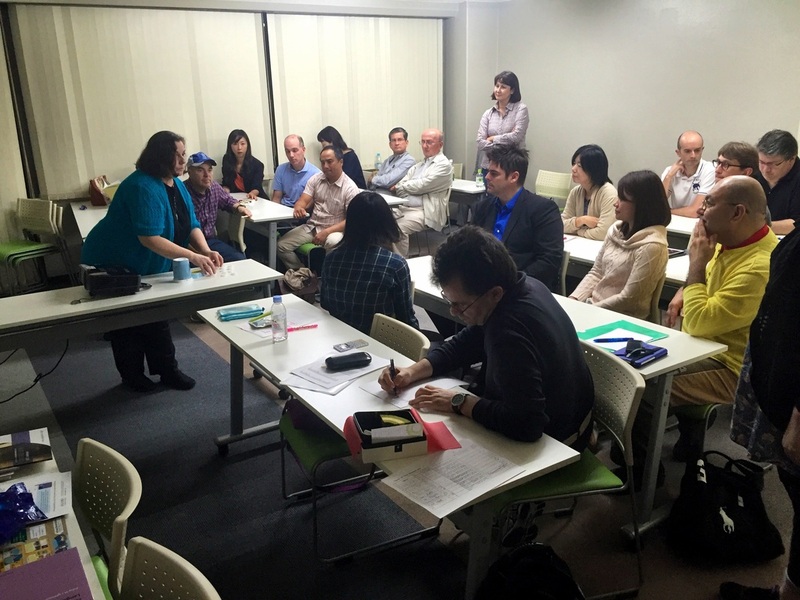 The aim of this event is to throw light on the various ways that Business English is being learned, taught and used in workplaces in Japan. Drawn together will be corporate, academic and private business English teachers and researchers to discuss current teaching practices and the evolution of this field. Professor Mike Handford is from Cardiff University and will present via video presentation. He is planning on using data and examples from construction industry meetings, and is the co-author of the corpus based Business Advantage textbook. Andrew Vaughan is the GM of a company which customizes language/communication skills programs for Japanese and foreign-owned companies. 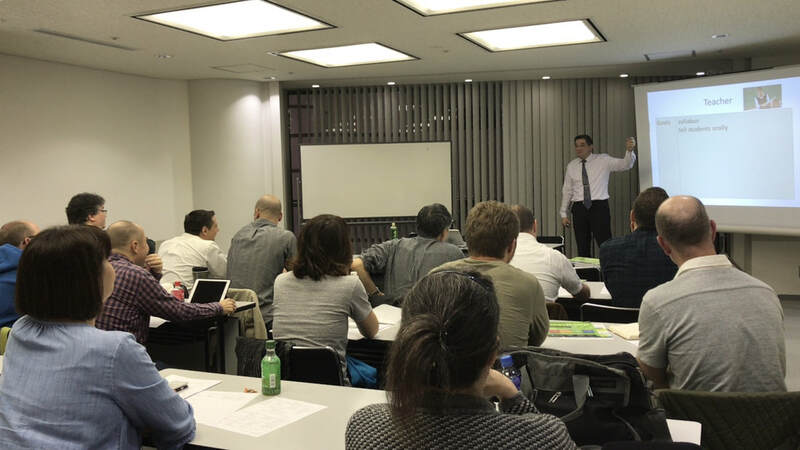 He has a wealth of knowledge and experience about how the Japanese corporate language training field has evolved, and will bring his interests in testing and evaluation to show the return on investment in language programs. He is also the author of Get Ready for Business. Professor Hiromasa Tanaka from Meisei University has published 78 articles and books on business discourse and human resource development. He took time out before his Association of Business Communication in Cape Town presentation earlier this year to give a fascinating interview to the Business Communication SIG newsletter earlier this year (accessible from our website). 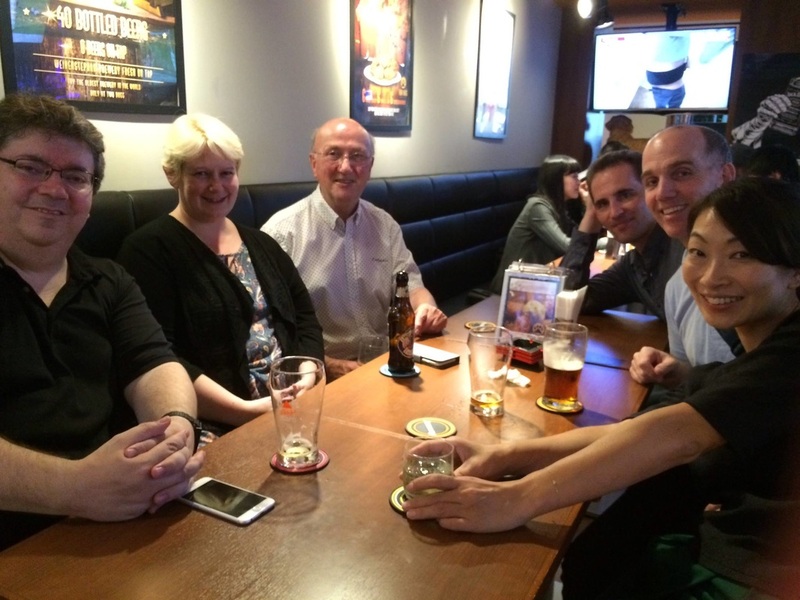 So we are honored that he has time to come and discuss the impacts of corporate language change with us in Fukuoka. Biography: Suzy works full time at Nagasaki University and part time at Kurume University School of Nursing. Research interests include Medical English, TOEIC/TOEFL, and of course, using Harry Potter in any way possible in those 2 areas! "Increasing Gender Equality in the Classroom"
"Freeing up Fluency in a Silent Speaking Class"
In speaking classes with English majors, I’d become disappointed that students weren’t taking advantage of the opportunity to speak, and to learn through experience. Many students were using too much Japanese, or hiding silently behind their more enthusiastic classmates. In the second semester, I instigated a new, experimental assessment design that would reward active participation, rather than accuracy or “correctness”. More importantly, though, I gave the students a comprehensive, organized explanation of my reasoning, hoping it would change their perception of the course. I heard more English during the next few lessons than I’d heard in the entire first semester! My explanation had really resonated, and the students opened up, apparently no longer burdened by a concern with accuracy. In this presentation, I’ll go through what I presented to the students, discuss why I think it was so effective, and show how I’ve applied what I learned to subsequent classes. 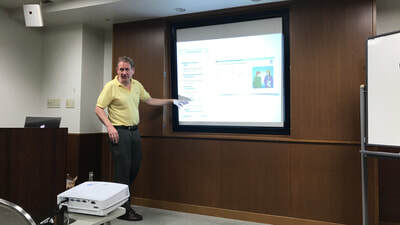 Steve Paton has been teaching English for eleven years; firstly to international students in Sydney, Australia, and since 2009, at universities in Fukuoka. He’s interested in learning strategies and strategies-based instruction, and is a member of the Apple Distinguished Educator program. Abstract: This presentation will demonstrate a “fluency-first” approach. This approach is especially suitable for students with low motivation and for those who are too afraid of making mistakes. Culturally, Japanese people are said to be afraid of making mistakes, which accuracy-focused Japanese teaching styles reinforce. The presenter will show some practical methods to break through an accuracy-only mindset to actively and comfortably push students to increases in levels of fluency and proficiency. The presenter will demonstrate how to create a motivating learning environment where students produce both “beautiful silence” in reading and writing and “happy noise” in listening and speaking. This presentation aims to give interested teachers some ideas to encourage their students to read and listen extensively and express themselves extensively in speaking and writing. Akio Sakamoto teaches at Fukuoka Jo Gakuin Junior and Senior High School. He has been teaching for 19 years. He has presented and given lectures at many conferences and events around Japan on his research of how to apply new and practical ideas to build fluency and proficiency. He encourages teachers and students to adopt his methods and to visit his classroom to see him in practice. The presenter first discusses the importance of studying emotion in second language learning. He presents what he learned in his experience researching motivation and a new study he conducted recently. In this study, a questionnaire based on Dornyei (2010) was developed to study the motivational dynamics of Japanese college students to study English as a foreign language (EFL). It consists of the Ideal L2 self, the Ought-to L2 self, and L2 learning experience. The instrument in this research also measures these constructs. This research project entails three phases. In the first phase, the questionnaire data, collected in April 2015 from more than 600 university freshmen who attend several colleges in Japan, was analyzed using both exploratory and confirmatory factor analysis. In the second phase, five learners who participated were interviewed six times over two semesters from April 2015 to January 2016. Questionnaire data was also collected from these learners, to identify their initial motivational characteristics in April, and to observe the motivational dynamics with quantitative data over two semesters. Finally, using the Geneva Emotion wheel (Scherer, Shuman, Fontaine, & Soriano, 2013), they were asked to reflect on the emotions triggered by events that affected their motivational changes that they mentioned in the six interviews at the end of the research project. Based on the results of this study, the presenter will discuss what teachers should know about the emotions in language learning. Since participants are invited to discuss and share what they have observed on this topic throughout the presentation, active participants are welcomed. 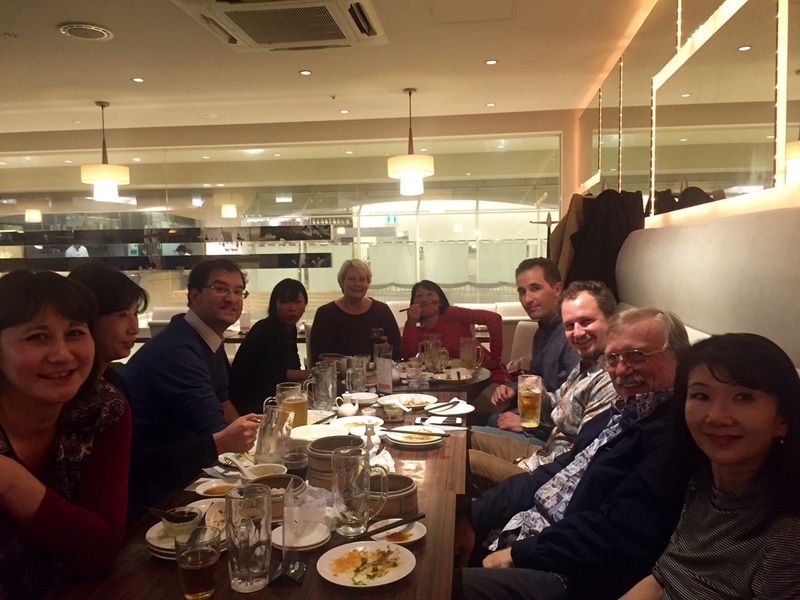 Andy Boon is an associate professor in the faculty of humanities at Toyo Gakuen University, Tokyo. He has been teaching in Japan for over 17 years. He holds a PhD in Applied Linguistics from Aston University. 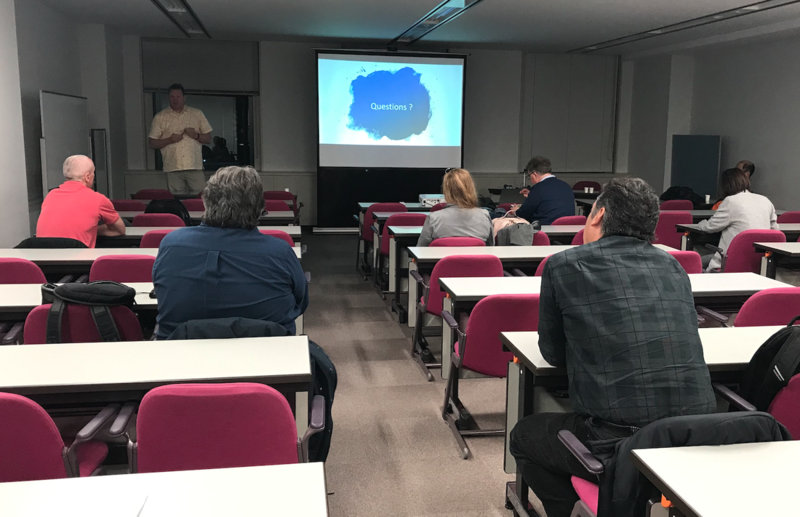 He has been an active member of JALT since 2004, has presented at numerous conferences, and has published several articles on teacher development, motivation, and methodology. He is also co-author of Inspire; a 3-level listening and speaking coursebook (Cengage Learning, 2013-14). 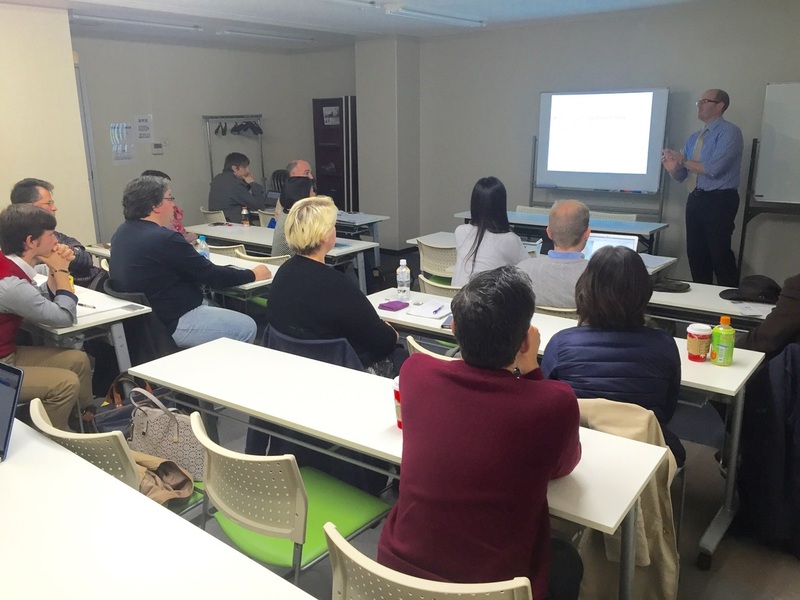 This presentation covers recent efforts by MEXT to internationalize Japanese education through the use of English. The current language education policies in Japan mandate over 10 years of English language education. Within this context, the number of international students in Japan is at its highest level ever and projected to continue rising, as universities and other institutions of higher education view foreign enrollment and investment as the answer to falling domestic intake. The policies of MEXT are by no means unique, and these actions are in fact somewhat behind those of their Asian neighbours, but they clearly indicate MEXT’s intention to follow worldwide trends in education and sociolinguistic behaviour. Set against this backdrop of rapid internationalization of language education and enrollment policies is the globalization of the language being used to facilitate these goals – English has developed far beyond a language controlled by a handful of countries into a global lingua franca, affected by its contexts of use. Models used to describe the language have become outmoded, and an understanding of how the language is used and changed by its users is becoming increasingly important for all stake-holders in the language. This presentation situates the internationalization of Japanese language education in the global context of English language use development. It is intended to provide both a grounded academic background to the current state of this process and a forum for the exchange of practical ideas to assist students, teachers, and others in the industry with the knowledge they need to make the most of their opportunities in this fast-developing sociolinguistic field. 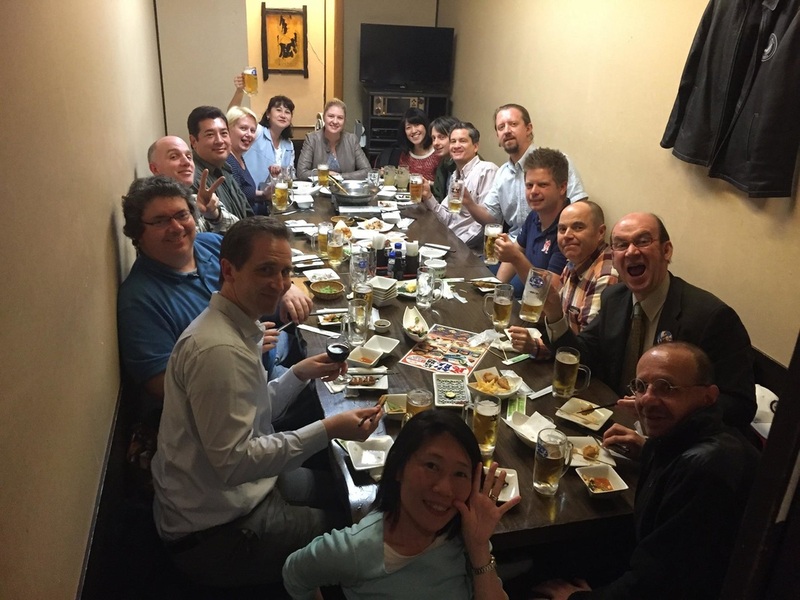 Chris Haswell has been living and researching in Japan for the last 15 years. 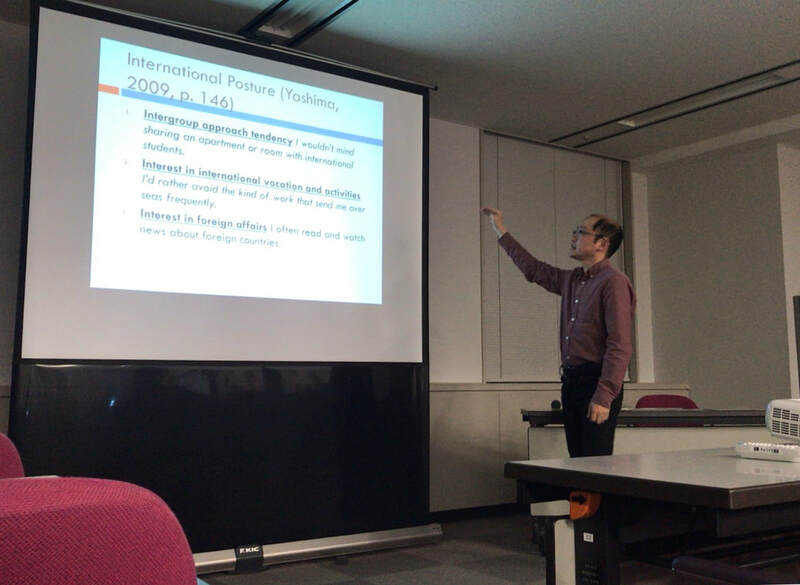 He has presented research in Japan, Korea, The Philippines and Cambodia, and published work on the internationalization of language education in Asia and the modeling of English use globally. He is currently working at Kyushu University in Fukuoka. This presentation will grapple with the issues involved in using classroom assessments to improve teaching and learning. I will begin with several key questions: What is learning? And, how does assessment relate to learning? I will go on to argue that the key is to link assessment to teaching, classroom activities, and learning, and vice versa. In much more detail, I will show how all of this can be done in five steps: planning assessment (including knowing your options, matching assessment to learning, and promoting learning with assessment); writing items (including creating the best possible items, writing enough items, and checking the items again); compiling the assessments (including organizing the items, creating scoring tools, and proofreading the complete assessment procedure); using the assessments (including planning the administration, giving students feedback, and using the feedback yourself); and improving the assessments (including analyzing the items, checking reliability, and checking validity). I will end by discussing with the audience how they now feel they can best link assessment to teaching, classroom activities, and learning, and vice versa. James Dean Brown ("JD") is currently Professor of Second Language Studies at the University of Hawai'i at Mānoa. He has spoken and taught in many places ranging from Brazil to Venezuela. He has published numerous articles and books on language testing, curriculum design, research methods, and connected speech. His most recent books are: Developing, using, and analyzing rubrics in language assessment with case studies in Asian and Pacific languages (2012 from NFLRC); New ways in teaching connected speech (2012 from TESOL); New ways of classroom assessment, revised (2013 from TESOL); Practical assessment tools for college Japanese (2013 with K. Kondo-Brown & Tominaga from NFLRC); Mixed methods research for TESOL (2014 from Edinburgh University Press); Cambridge guide to research in language teaching and learning (2015 with C. Coombe from Cambridge University Press); Teaching and assessing EIL in local contexts around the world (2015 with S. L. McKay from Routledge); Developing courses in languages for specific purposes (2015 with J. Trace & T. Hudson from NFLRC); Introducing needs analysis and English for specific purposes (in press 2016 from Routledge); and two others that are currently in the works. There's a lot of talk these days about including 21st century skills in language classes. What are these skills, and do they have any place in a language class where teachers have limited contact time, and the priority is, still, to teach English? 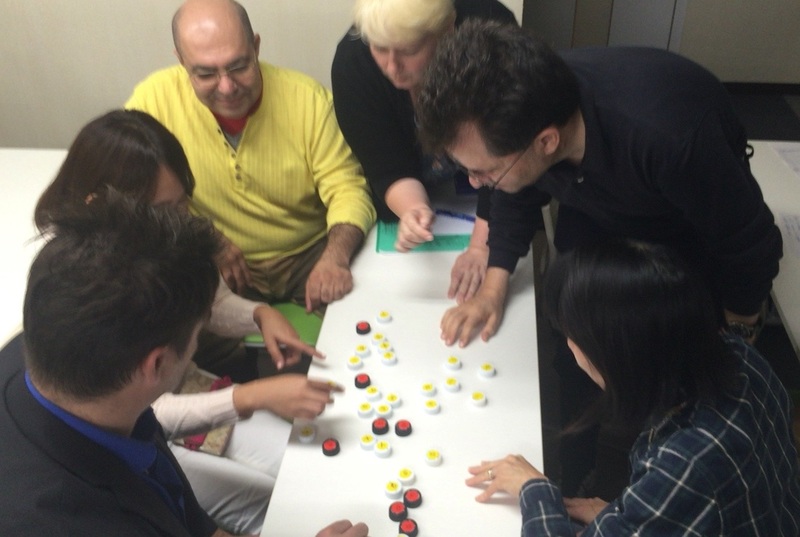 In this workshop, teachers will learn teaching techniques to help their learners become strong English users and also critical and creative thinkers. By making every moment of class time count, teachers can help students succeed, on exams and in future jobs. Teachers can build both the traditional four skills (speaking, listening, reading, and writing) and the 21st century 4Cs (communication, collaboration, creativity and critical thinking) in every class. The secret is building a strong English foundation, so that teachers can spend most of your class time using language to develop the more advanced (and more fun!) integrated skills in student-generated projects. We'll explore simple teaching techniques to do this and look at actual student projects. Teachers will have a chance to try out techniques and activities, so come prepared to participate. 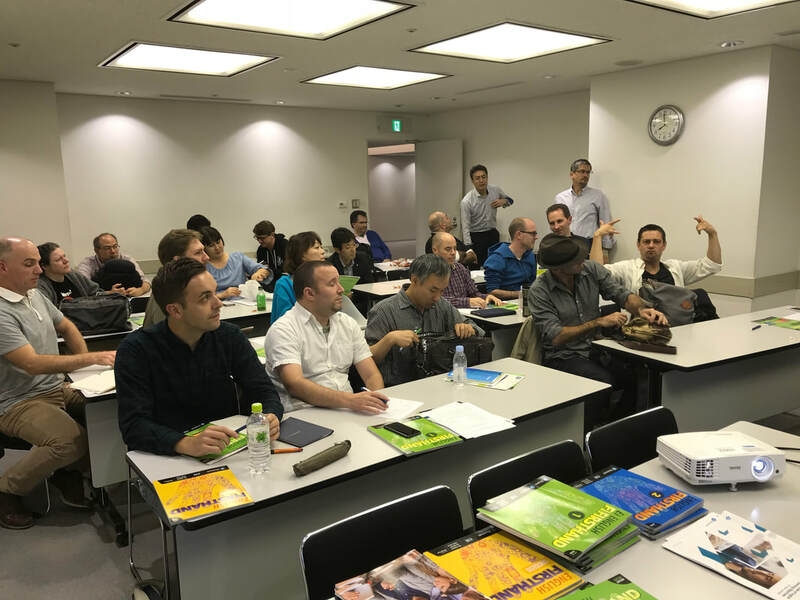 With professional development (Faculty Development) finally reaching tertiary institutions and the focus of education shifting from teaching to learning, Japanese schools and universities face several difficulties regarding the implementation of effective professional development programs. 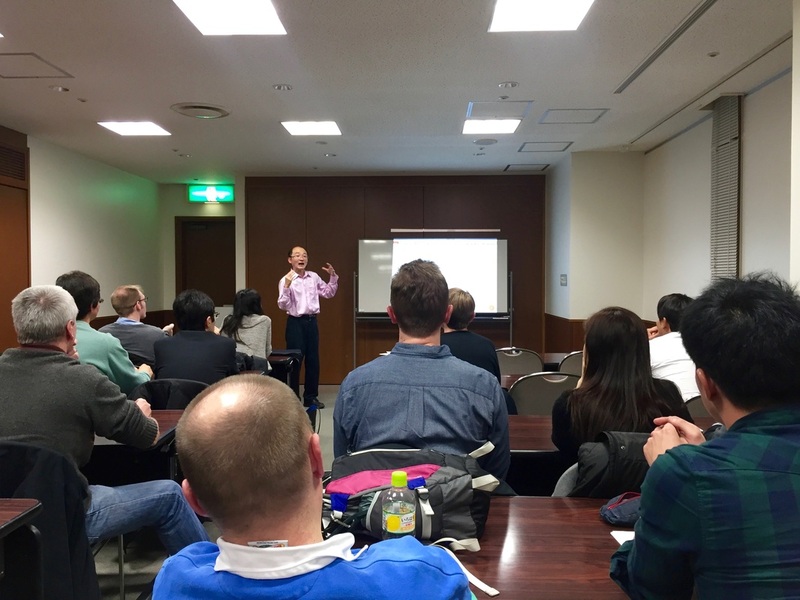 This presentation is part of a larger study, undertaken by the presenter during the post-graduate course at the University of Manchester, which explored obstacles to professional development (Faculty Development) at a Japanese national university. 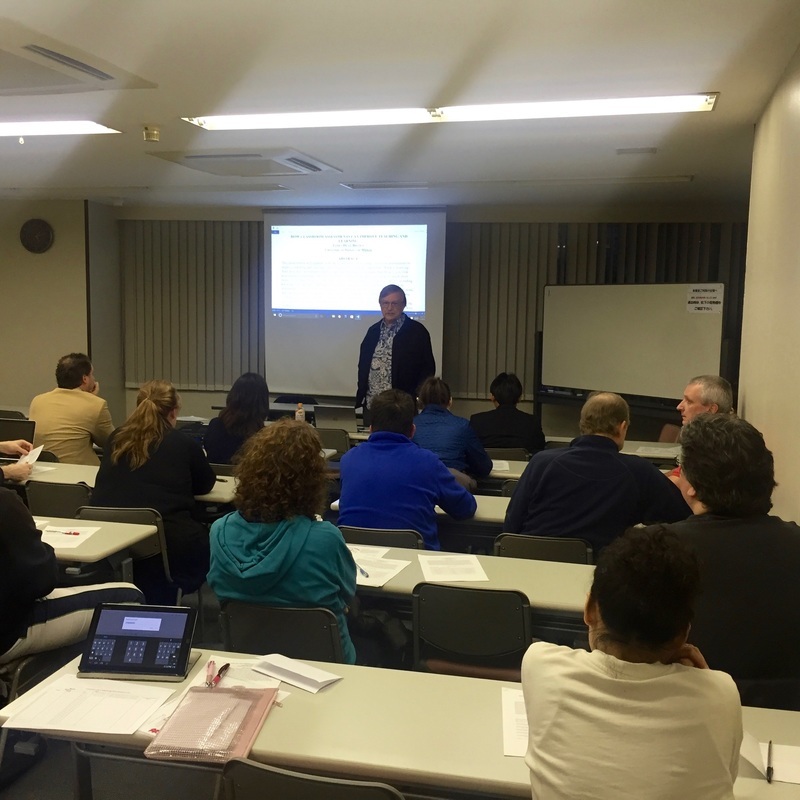 This presentation is a literature review which introduces several challenges for professional development in Japan. Namely, the presentation discusses attitudes to teaching among school and university educators and problematizes the concept of “good teaching” as a standard for teaching. The second half of the presentation introduces what are observed to be common attitudes to professional development in schools and universities and elaborates on the related to those attitudes concept of reflection. The presentation includes group activities in which the participants will be able to share their experience with and views on some of the above-mentioned points. 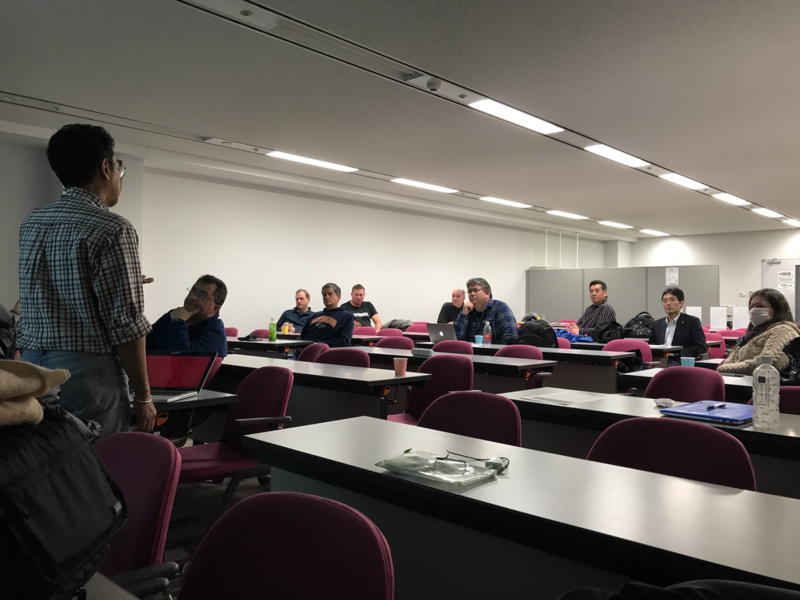 It will conclude with the implications of the discussed issues for professional development of teachers in Japan – both in the view of the presenter and those of the participants. Alexey Kukharuk works as an English instructor and a facilitator at Fukuoka Communication Center where in addition to teaching, his responsibilities include but are not limited to interviewing job applicants and managing the professional development of both new and current instructors. The author’s primary research interests lie in professional development and teacher learning as well as education quality. ﻿CLICK BELOW﻿ for Alexey's bibliography and references (pdf file). "Done in 60 Seconds: Bottom-up listening tasks for beginners"
Title: "Multicultural Me: Expanding horizons for intercultural communication"
"Multicultural Me: Expanding horizons for intercultural communication"
Utilized in various settings for adults & university students, down to J.H.S. 3rd grade students, the activities and program within Multicultural Me provides students with an opportunity to develop intercultural and second language competency, in a manner specifically tailored to the challenges of the Japanese context. The Multicultural Me module for intercultural communication blends task-based learning (TBL) and content-based approaches for language learners. The central aims of the module are: To deepen cultural self-realization; broaden awareness of social diversity in daily life; develop and express empathy; enable learners to open multiple channels for communication; and provide a language framework for expressing one’s identity as well as showing interest in others. In this workshop the presenter will demonstrate and discuss the Multicultural Me activities, grounding in intercultural communication theory, methodology, and ESL pedagogy. The presenter will provide opportunities to experiment with ideas and activities in a workshop format while demonstrating how activities can be adjusted for learning stage appropriateness. Participants will be able to incorporate the ideas and activities from this workshop into their classes, and immediately apply them to their lessons. Title: "Blended Learning with Student Smartphones and iPhones"
"Blended Learning with Student Smartphones and iPhones"